Then: neither “big check” that was expected arrives. It’s good we tapped the line of credit and paid credit cards down to zero; we will live on plastic. The Euro, which is supposed to be worth 1.37 dollars, buys 75 cents worth! That means a $100 dinner can cost $300 “real” dollars. “Hi – I am the AT&T Robot. I don’t know a thing about what’s in our computer about you. But, I know you are a Small Town Lawyer, who used to have a 60 Gig data plan, but you REDUCED it last week to 2 Gig, and have used yours up. I have cut you off! 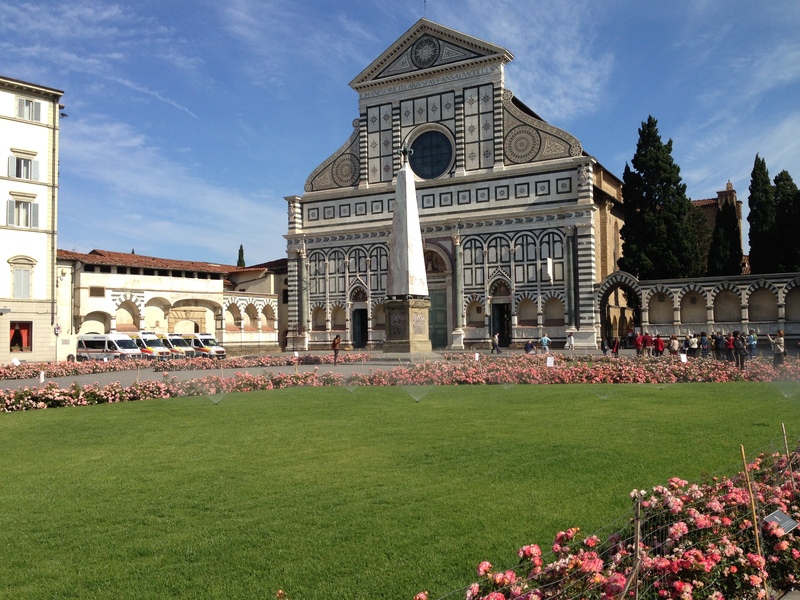 I don’t care if you are using your iPhone to guide you over town in Florence Italy, to find restaurants and interesting sites, and I certainly do not care that you were planning on running your office through our phone and data lines. AT&T cannot believe a small town lawyer could make such a trip. I have just cut you off. If you do not like this, just call this 27 digit number, but remember, you are in URUP now. I don’t know where you will get a phone, and if you do, plan to spend three hours this time. You should never have been stupid enough to rely on us. Have a nice day: Your AT&T Robot.”! Word comes that the adjustor in the case you associated with big time Charleston counsel, arrived without settlement authority, and the case you and your clients were depending on settling has totally fallen through. No “big pay day” while you are away. Then the service rep at your Kubota dealer calls to advise that repairs and service to your BX 2300 will be $2300! You need a new water pump! You only learn later, when you stop to pay your bill, that they just got around to ordering the parts, and you will be lucky to see your machine in a week. That’s two months in the spring without a mower! 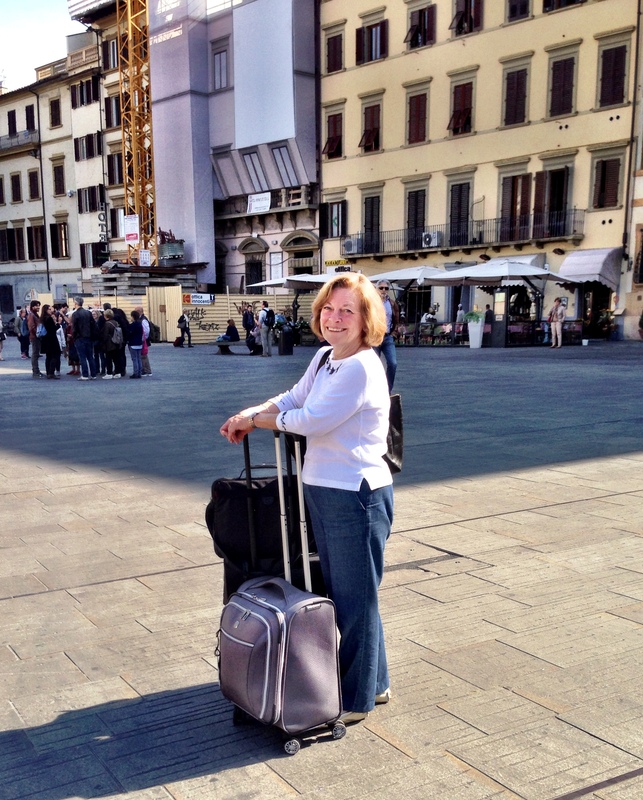 Your bride of 45 years, who agrees the trip to Italy was sublime, advises they you will never see anniv. # 46! 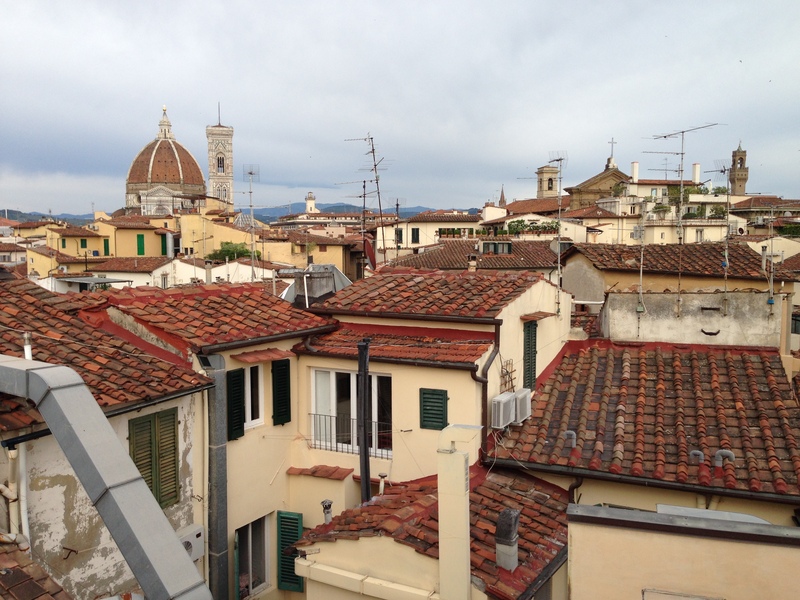 In the distance the dome of The Duomo, third largest church in the world, Florence Italy, from our rooftop café. In spite of 24 hours on the road and in the air, you arrive at the office the first day after arriving home. Even though your staff has spared you from all emergencies, you discover at the end of the morning you have managed a few e-mails, a phone call or tow, and some posts of photos to FB. My friends like them, but I get nothing done. I am puttering as my brain is trying to reset. The pets, even though well cared for remain “clingy”. That’s a good thing. They reassure me that things will return to normal. FB advises that you are losing your marketing edge because no one has been posting anything to your sites. So, I post this in a desperate effort to avoid doing anything productive. You realize the 17 travel hours have not been erased by one nights sleep. Time for a nap. That is what it is like to be a sole practitioner in a small town. When you leave, you have the cost of your vacation and the cost of not making money. ATT&T made sure that your staff would be on their own save for the 2-3 times a day you can find Wi-Fi. The productive hour or two a day you can manage on vacation never materialize. You ponder that being disconnected from the daily problems was not the worst possible development. Staff took your terse instructions via e-mail and did what you trained them to do: solve problems! Thank God for a wonderful wife, for now, and a competent professional staff. If you become a small town lawyer you won’t have a paid 30 days a year vacation, but you are your own boss, unless they pull your professional office. You can’t be fired, but if you get sick, that’s your problem. It is a scary, interesting, rewarding, life. Not for everyone.